It surprised him, but he didn’t mind that she was dead. He could look at her, really look at her, without being interrupted. Without being afraid that she would say something, or do something, that might hurt him. The slightly off-kilter, macabre opening is a flashback to 1992. There’s no doubt; this is classic Jane Casey writing. Her measured tone keeps the reader riveted to the page while she spins a web of intrigue. 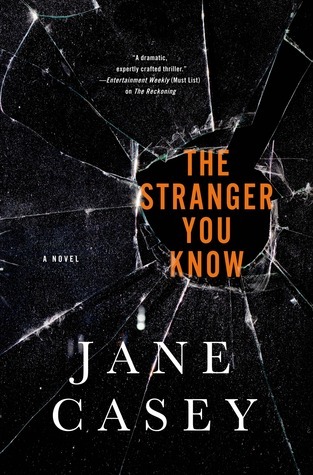 The Stranger You Know is the fourth book of the Detective Inspector Maeve Kerrigan mystery series set in present-day London. Detective Inspector Josh Derwent, another ongoing character, is her partner on the police force. Derwent wins no personality contests but he is a good policeman. At least that’s what Maeve has come to believe. This time around Maeve is called into a special group investigating two recent murders and one from 20 years ago that appears to be the first in a series. Perhaps the group has a serial killer to chase down. To make matters more complicated, Derwent is linked to the first murder. The book reads like a diary from Maeve’s perspective. The sections are sequenced as days of a week beginning with Thursday and ending more than a week later. One additional flashback to 1992 well into the plot helps the reader put the crimes and characters into better perspective. Author Casey is a master at weaving real clues with red herrings. Her readers will be satisfied with the quality of this tale. The lives of her characters are usually thrown open for examination, almost as in an autopsy. The Stranger You Know is true to form, a fine form. A review copy was received from the publisher. This book will be released in a trade paper version on March 31, 2015. 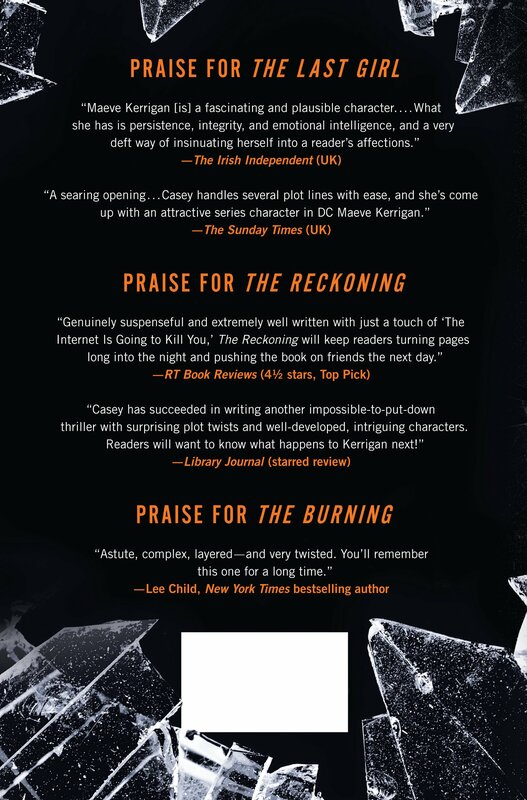 Jane Casey is the author of The Burning, The Lost Girl, and The Reckoning. Police procedurals are often an exercise in scene shifts, dogged legwork and a dramatic reveal at the conclusion. The Golden Calf is all that and more. This reviewer listened to the audio version. The book is filled with a preponderance of dialogue which made the listening experience more like a radio drama circa the 1940s than a book. The Scandinavian tale written by Helene Tursten (of Sweden) was translated into English by Laura A. Wideburg. Ms. Wideburg does an admirable job of ironing out the language difference and provides a smooth tale. The narrator, Suzanne Toren, is a master of voices, accents and gender. The listener soon forgets that only one person is speaking while the large cast of characters performs their duties. The only hiccups in the audio version are the naming conventions and their Swedish pronunciation. The main character, Detective Inspector (DI) Irene Huss and her partner Tommy Persson, become Idean Hoose and Tow Me Pearsoon. A reader of the hard copy can fashion his or her own sounds for the names. Sometimes a person’s last name is used in the dialogue and at other times it’s the full name. Aside from these somewhat minor impediments, the tale is engaging and cleverly crafted. DI Huss leads her team to the solution of several crimes that include execution-style murder and embezzlement. Ms. Huss suffers the blunt, minimal acceptance of her male counterparts. Her main ally is Tommy Persson who refrains from digging at her. The several identical murders tie together an array of people who had been in business together back in the dot com boom and bust in the late 1990s. Fast forward to 2003 and these players and their expensive spending habits may be revealing more than business acumen. Author Tursten immerses the reader in the gluttony of her characters with detailed descriptions of high quality and high price tag items including clothing, furniture, cars and culinary excesses. Perhaps crooks are just crooks regardless of where they live. 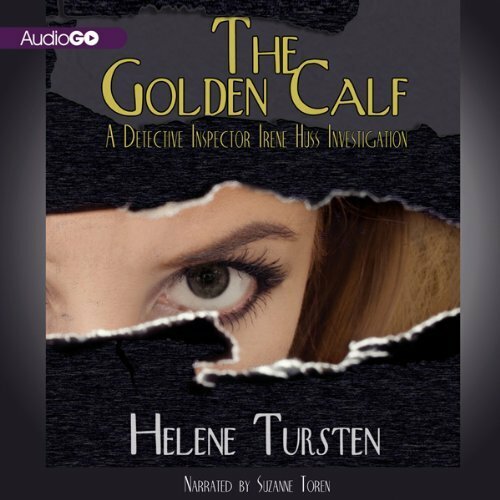 Regardless, this Swedish spin on the police procedural makes for very entertaining listening. The unabridged audio book, which comes in a nifty two-ring binder case, was provided by Soho Crime for review. Sometimes a memoir can be so personal that the reader senses the author’s self-absorption on every page. A book that is not much more than a monologue begs the question, who is the intended reader? Ken Rotcop, a Hollywood screenwriter pitchman, opens the book with his advice to Cindy Zimmerman to write her own story rather than use him as a biographer. Cindy’s ex-husband was murdered on the day their contentious divorce was finalized. She was, of course, considered a person of interest in the Phoenix, Arizona police investigation of Paul Zimmerman’s murder. Ken’s advice to Cindy is to write her side of the story in longhand, 20 pages at a time and send them along to him for compilation. While there is a sensational aspect to Cindy’s story, she is not alone. A messy divorce from a controlling, competitive man who doesn’t like to work for others plays out pretty much the way hers does. Countless others will relate to her, but why re-live pain and suffering? There’s no payoff. Clearly, Nicola Upson has strong ties to the theater and the mystery genre. Ms. Upson is a regular contributor to BBC radio, has reviewed crime novels and has years of theater experience as well. Her writing style combines traditional theater and motion picture cinematic techniques to draw the reader into a period with ties to the present day. Fear in the Sunlight is one of Ms. Upson’s mystery series featuring real-life 1930s writer Josephine Tey. The story centers on a seemingly-idyllic weekend in Portmeirion, Wales. The location is a real place; however, the resort is the re-creation of a Mediterranean seaside resort created by a famous architect. Ms. Upson uses Alfred Hitchcock’s proclivity for playing tricks on his minions as the catalyst for several gruesome murders that take place during his resort party weekend. Desire is the undercurrent – Josephine’s for Marta, a woman already in a relationship with a model/actress; a villager’s ex-husband for his ex-wife; Archie’s, a police chief inspector, for Josephine. Each of these characters has made choices based on their inability to step up and declare true feelings. Mr. Hitchcock’s desire for control and the admiration of his wife adds to the messiness. And to further muddy the plot, a seemingly-pivotal character, artist Bridget, connects Archie to his past. Sadly, the layout of the book is confusing with gestures and observations inserted within paragraphs of dialogue. This has the unsettling effect of forcing the reader to reread to determine just who is doing the talking. There’s too much effort required for this reviewer to relax and enjoy the mystery. The setting of A Medal for Murder is England in the 1920s, an idyllic time for crime solving. The right mix of mobility (motor cars) and technology (telephone and telegraph) keeps the story moving along at a pleasant place. Our detective, Kate Shackleton, is a well-bred lady who is a sleuth, complete with an ex-policeman assistant named Jim Sykes. Women in the 1920s were beginning to emerge from their past roles as homebodies. To be sure some women had already moved in that direction, actresses in particular. 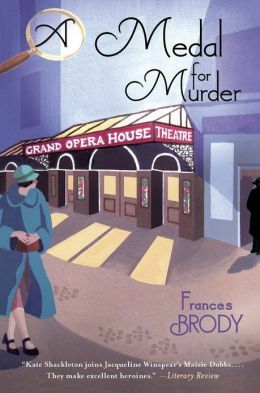 Author Brody makes good use of the contrasts between ladies, gentlemen and other types. Mrs. Shackleton, who narrates this tale, drives her motor car while Sykes holds on for dear life. A pawnshop burglary leads to a sleuthing job for Mrs. Shackleton. She meets a wide variety of people whose pawned items were stolen as she tracks them down for the pawnshop owner. The story line is enhanced by quips, fashion and social commentary and generally charming banter among the characters. Mystery fans not familiar with Ms. Brody’s mystery series are encouraged to catch up post haste! The World War II era and the sacrifices made by Americans form the backdrop of this tale. Miss Dimple, a small town school teacher of indeterminate age, appears in this, the third book in a series by prolific mystery writer Mignon Ballard. Author Ballard keeps it real by setting her story in rural Georgia where she grew up during the war. The local colloquialisms (like nattering) and culinary oddities (like piccalilli) remind the reader that we’re not in the big city. Miss Dimple is a liberal character in an otherwise deeply-engrained closed community of southerners. The impact of the war is felt in the limitations of gasoline and sugar rationing when a young student of Miss Dimple’s goes missing. Xenophobia is woven throughout the story as are offensive attitudes held by the townspeople. Fans of small town drama and mystery will enjoy this cautionary tale. A failing resort named Gulf Bay Lovely Resort and Restaurant in Maprao, Thailand might as well be the main character in this highly-unusual mystery. The plot is based on a BBC article regarding the treatment of Burmese immigrants in Thailand. The narrator, Jimm Juree, is an investigative journalist whose loyalty to family and the loss of her newspaper job brings her to the resort owned by her mother. Family, nationalism, corruption and man’s inhumanity to man propel Jimm into countless situations that a wiser woman in her mid-thirties would avoid at all cost. The story unfolds slowly and once the general theme is established, the reader is tossed to and fro like the flotsam on the beach where the resort perches precariously at the whim of violent storms. 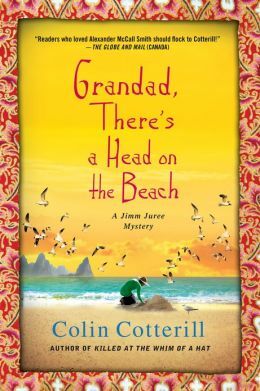 Author Cotterill dances up to ugly visions like beheaded Burmese workers, oceanic erosion and police corruption while holding the reader hostage. For contrast and comic relief, he pulls back with outrageous quips and ridiculously funny double entendres. The scene shifts are well-executed and provide the reader with a sense of drama. Jimm Juree is both smart and reckless as she orchestrates the rescue of helpless Burmese workers. The behind-the-scenes look at Thailand and its political climate was shocking to this reviewer. My experiences in Bangkok, Thailand were nothing like the ones brought out of the shadow in this mystery. The setting is Portland, Maine, the month is December and the weather is bitter cold. The tale affords an escape from the everyday world in more ways than one. 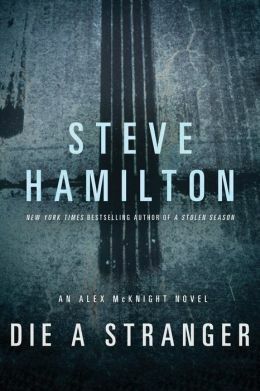 The main character, Detective Sargent Michael McCabe, has accomplished what many folks only dream about, transplanting himself and his daughter from New York City to a closely knit community away from big-city violence and crime. But has he? A German luxury car abandoned on the Portland Fish Pier for several days contains a frozen body in the trunk. So what happened to the charm and quaintness of the postcard setting, much less the implied safety? It seems evil lurks in the nicest of locales. After the body is carefully thawed out, the identification is made and the detective work begins. Since most folks know each other around this part of town, McCabe bounces back and forth among his suspects gathering clues while attempting to eliminate suspects. 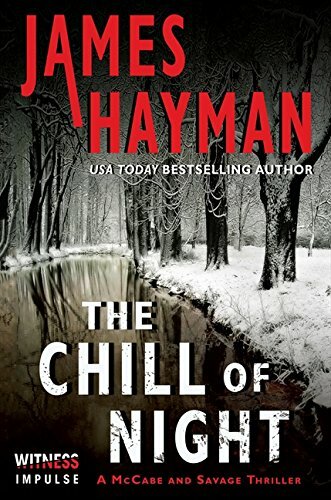 To his credit, Hayman includes Abby, a young woman with schizophrenia, and the only witness to the crime. Without getting on a soapbox or dragging down the story, he develops her character with solid information about her disease which helps to explain her actions. Unfortunately, the policeman on duty when she bursts into the station house has a very hard time believing Abby’s excited ramblings about the murder and dismisses her report as a hallucination. This lack of understanding delays the hunt for the killer and places others in jeopardy. 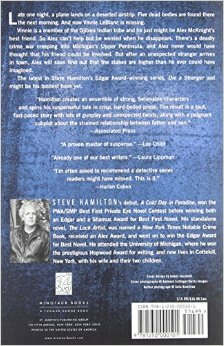 James Hayman seamlessly picks up from his first mystery novel, The Cutting, with his core characters McCabe, his artist girlfriend Kyra, his 13-year-old daughter Cassie, his ex-wife Sandy and Maggie Savage who is his police partner. 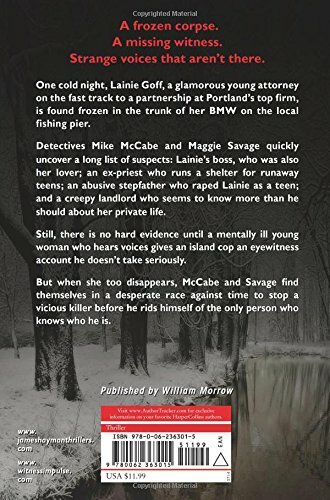 Hayman spares a loyal reader from too much catching up by keeping to the tale at hand, providing only pertinent information that confirms the identities of the characters and their relationship to McCabe. There are plenty of quirky and charming elements to the story that keep it from being maudlin. McCabe has his own form of mental challenge. He’s got an eidetic (perfect) memory which affords the author many opportunities to sneak in a bit of trivia that will delight most readers. On a more philosophical note, McCabe wrestles with his own personal demons and makes real progress toward disengaging from his frustrations with his ex-wife, Sandy. His relationships with Kyra and Cassie progress nicely. These characters and their interactions are compelling enough to merit a sequel. Well recommended for mystery lovers. 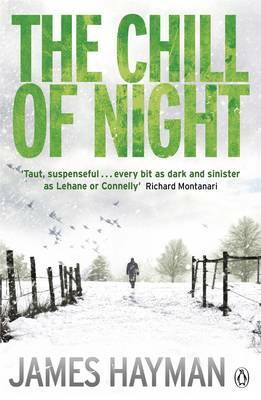 “Taut, suspenseful… as dark and sinister as Lehane or Connelly.” Richard Montanari, author of The Killing Room. A review of Trail of the Spellmans: Document #5 by Lisa Lutz.